Home Cybercrime A Shift From Quantity To Quality: 2018 Saw Cybercriminals Dropping Basic DDoS Operations. The low cost of DDoS-as-hire makes such attacks one of the most affordable cyberweapons for evil competitors or internet trolls. Businesses, regardless of their size or industry, can face this threat and suffer revenue and reputation losses in case legitimate users and customers cannot access company’s web resources. Despite the number of DDoS attacks falling in 2018, it’s too early to rejoice as the decrease of the amount of attacks does not mean a decrease in their severity. According to Kaspersky Lab researchers, as more and more organisations adopt solutions to protect themselves from simple types of DDoS attacks, 2019 will likely see attackers improve their expertise to overcome standard DDoS protection measures and bring overall complexity of this type of threat to the next level. “Most simple DDoS attacks don’t achieve their aim. Because of this, cybercriminals aiming to benefit financially from these attacks only have two options. The first option is that they could divert the resources required for DDoS attacks towards other sources of revenue, such as cryptomining. Their second option is to improve their technical skills. Given this, we can anticipate that DDoS attacks will evolve in 2019 and it will become harder for companies to detect them and stay protected,” – comments David Emm, Principal Security Researcher at Kaspersky Lab. 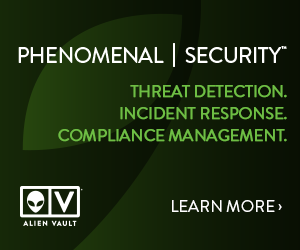 · Use professional solutions to protect against attacks. For example, Kaspersky DDoS Protection combines Kaspersky Lab’s extensive expertise in combating cyberthreats and the company’s unique in-house developments. The solution protects against all types of DDoS attacks regardless of their complexity, strength or duration.